And get unlimited access to this gym and 1362 others. The LivingWell Bristol health club is situated within Hilton Bristol close to Junction 16 of the M5 motorway. The club in BS32 boasts a wide variety of exercise equipment, so you're bound to find something that suit you, whether you're a regular gym bunny or it's your first time at a health club. The fully air-conditioned gym includes cardio machines, such as your traditional treadmills, cross trainers and rowers. You'll also find spin bikes here to really amp up your cardio session. Their free weights area is well stocked with dumbbells and benches. There's also a mat area to stretch your muscles. After a vigorous workout, you can relax in the sauna and steam room. 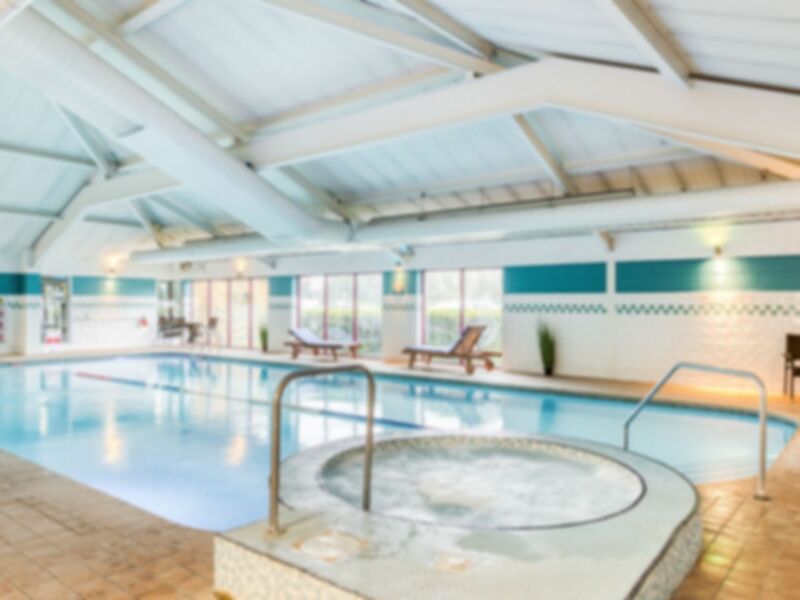 Why not also take advantage of the heated indoor swimming pool to wind down or finish off your session. Personal training (extra charges apply), a range of exercise classes (extra charges apply) which should be pre-booked with the club to avoid disappointment. Free parking is available for gym users at this site. The location is also well connected via public transport with bus stops near by. Brilliant pool and customer service. I only used the pool but enjoyed it, and the changing rooms were nice. On the whole good. Showers not great not very warm and not much water pressure. This is a great place to swim and spa IF you go when there are no insanely shouty swimming teachers when you go. check first as they really are a blight on a lovely place. If you can swim you can teach your kid to swim..I did and so can you! It was good experience, I visit this facilities often, never had a problem. its clean and not too busy at any time. lovely highgood standard of equipment. It was lovely. Very welcoming and easy to use. I love this club it is very well laid out with good facilities. Sauna steam jacuzzi all lovely. A rugby club was just coming to train in the pool as I left so I think I would avoid that time in future it was a bit strange trying to swim with a club training in the other half of the pool!